Season 17 Episode 30 This week on AYL we visit the 8th wonder of the world, join the Jorgensen family on an ATV outing, review the new Honda Talon X, and learn how certain critters protect themselves. :47 – Chad and Ria visit the 8th wonder of the world. 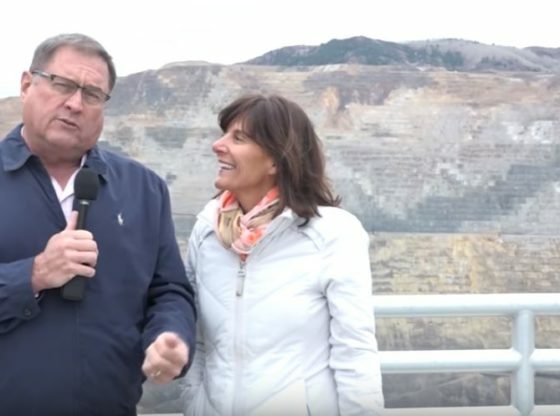 They are at the Rio Tinto Kennecott Copper Mine and show us why we need to take our families here for a visit this spring. 4:52 – We join the Jorgensen family and their friends on the Poison Spider trail in Moab. They explain why ATVing is a great family activity and how it creates great bonds. 10:25 – Curt and Jake review the new Honda Talon X. This machine is set up for a trail and mountain rider. It has tons of great features and we explain why you need to get one. 19:16 – Reese is at the Swaner EcoCenter where the kids are getting a hands on look on how critters defend themselves. It is a program called Natures Ninjas and is a great program to bring your family to. 26:49 – Take a sneak peek at next weeks show.